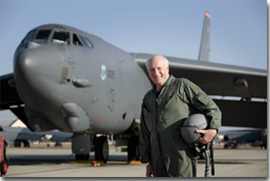 Getting instruction in a B-52 Stratofortress at Little Rock AFB in May, 2014. 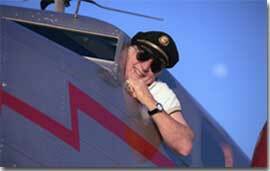 Barry after flying TWA's only and original Lockheed 12A Electra Junior (2006). 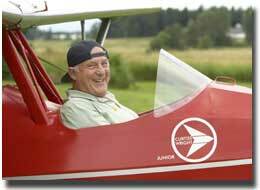 Barry after his first flight in a Curtiss-Wright Junior (2005). 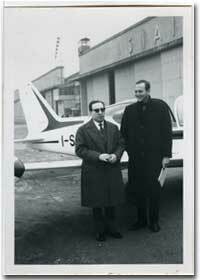 Interviewing Stelio Frati, designer of the Siai Marchetti SF 260 in Italy (1967). 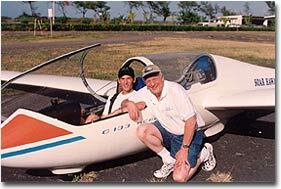 Instructing his son, Paul, in a Grob 103 sailplane in Hawaii (1999). 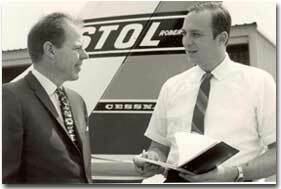 Interviewing Jim Robertson, designer of the Robertson STOL kits (1967). 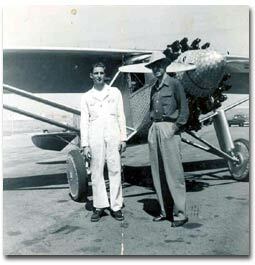 Barry as a teenager with actor Jimmy Stewart before the filming of The Spirit of St. Louis began (1955). 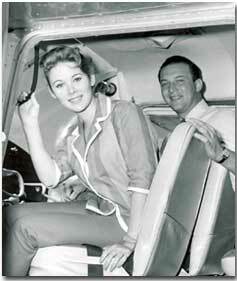 Barry and one of his early students, actress Jill St. John (1956). 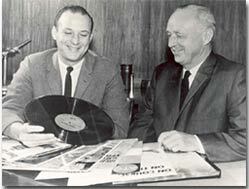 Barry consummating the sale of his publishing company to Elrey Jeppesen (1963). 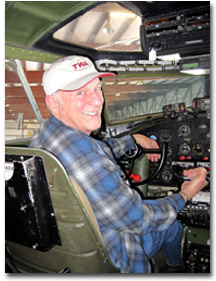 Getting checked out in Fifi, the world's only airworthy B-29 Superfortress (2011). 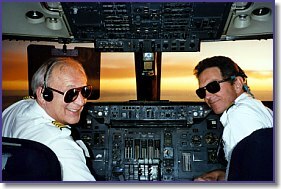 Barry and his first officer enjoying a sunset flight from Los Angeles to Honolulu (1995). 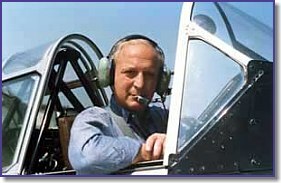 Barry in the cockpit of a T-6. 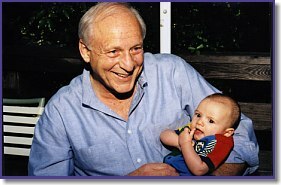 His first grandchild, Brett (1998). 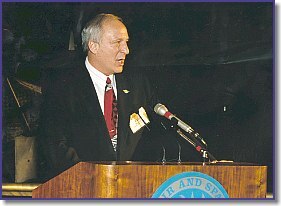 Barry addressing the media and other invited guests at the National Air and Space Museum (1994). 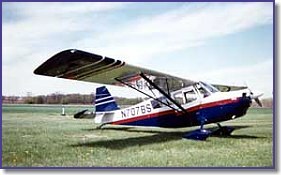 Barry's American Champion Explorer (Citabria). 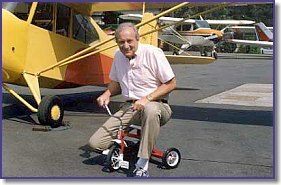 Teaching the principles of tricycle vs. tail-dragging aircraft using a tricycle, of course (for ABC's Wide World of Flying, 1987). 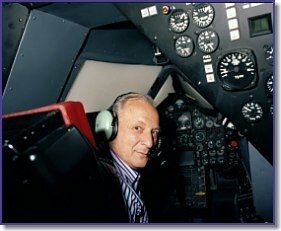 Barry in the SR-71 Blackbird simulator at Edwards Air Force Base (1993). 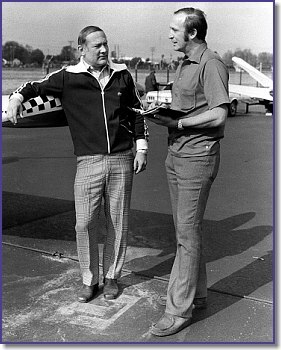 Interviewing Apollo 11 astronaut, Edwin "Buzz" Aldrin, Jr., about his flight to the moon (1973). 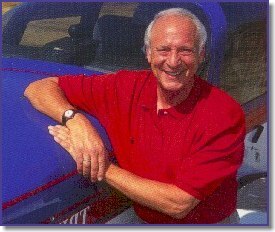 Barry posing for a cover shot for Proficient Pilot, Volume 1. 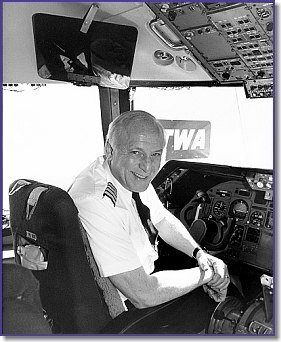 On the flight deck of his favorite jetliner, the Lockheed L-1011 (1994). 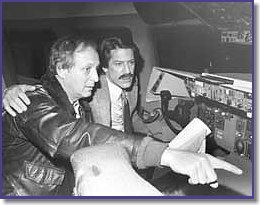 the Potomac" (an NBC docudrama, 1984). 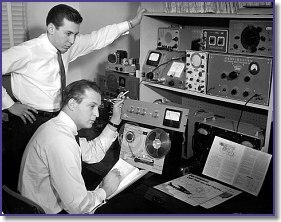 Barry (seated) and friend, Richard Somers, editing an in-flight tape recording for Barry's aviation publishing business, Aero-Progress, Inc., in 1960. 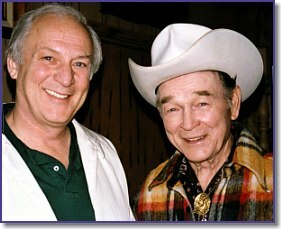 Barry and his boyhood idol, Roy Rogers (1992). 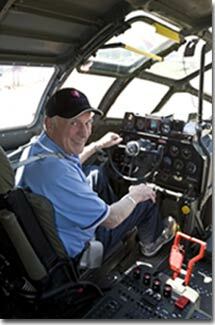 Getting checked out in Texas Raiders, a B-17 belonging to the Commemorative Air Force (2012). 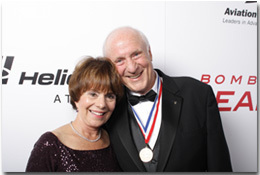 Barry with his wife, Dorie, following his induction as a "Living Legend of Aviation" in 2012.